Over the past few years, PRSA’s Board of Ethics & Professional Standards (BEPS) has conducted several studies on ethics in public relations, resulting in four journal articles, four academic conference presentations and awards from the International Public Relations Research Conference and the Media Ethics Division of the Association for Education in Journalism and Mass Communication. 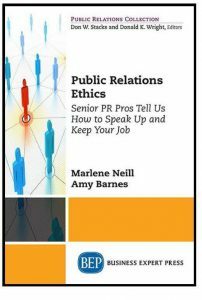 We are pleased to report that our latest project has resulted in a book, “Public Relations Ethics: Senior PR Pros Tell Us How to Speak Up and Keep Your Job,” published by Business Expert Press. All of these efforts are part of BEPS‘ commitment to providing thought leadership on ethics in public relations. 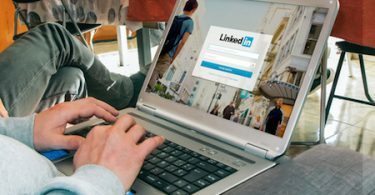 This latest project was completed in collaboration with the members of PRSA’s College of Fellows, who participated in in-depth interviews and survey research. The study was supported through two grants from the Arthur W. Page Center. This book provides guidance for young professionals, who aspire to reach leadership positions, in the form of anecdotes from senior executives on offering ethical counseling and advice on how to navigate internal politics while earning respect for their strategic counsel. Chapter 1 Why Does Ethics Matter in Public Relations? 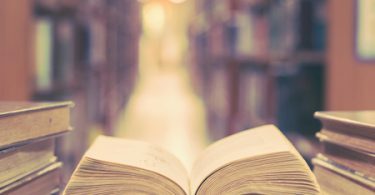 Chapter 2 Influence and Power, Why Should I Care? In addition to the book, we presented on this study at the 2017 PRSA International Conference and Chapter conferences in Dallas and Houston. Let’s keep the conversation going. 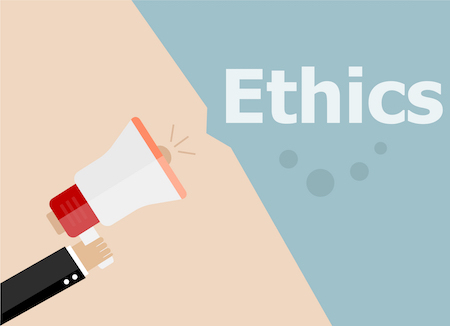 Ethics are foundational to effective public relations. Just ordered the book – it looks fabulous! Thank you for the work that went into it and for shining a light on the importance of ethics in our profession. Thank you for your support and encouragement. We are grateful for the 58 senior executives who set aside time to discuss their experiences providing ethics counsel. We hope this will be a resource for young professionals who aspire to become public relations leaders.